The Institute was established in 1995 as a Scientific Technological Centre “Superhard Materials” (STC SHM). 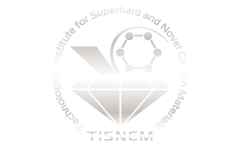 In 1998 the Institute was reorganized to become the Federal State Institution “Technological Institute for Superhard and Novel Carbon Materials” (FSBI TISNCM). FSBI TISNCM is administrated by the Ministry of Education and Science of the Russian Federation. The legal form of the Institute is a budgetary scientific institution. 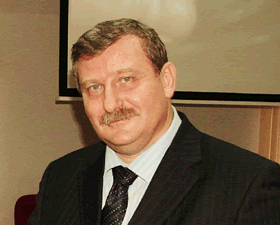 Professor Vladimir Blank (Doctor of Physical and Mathematical Sciences) has been the Director of FSBI TISNCM since 1995. Taking products to the market. The Institute possesses a production technology for the diamond single crystals up to 7 carats in weight, which have no natural analogues (superpure, doped, and semiconductor). This technology is currently being promoted to the market. TISNCM also develops the following types of constructional materials: metals, metal–carbon, carbon–carbon, and nanostructured ceramics. Some materials with the unique mechanical properties have been produced, including aluminum-, titanium-, and zirconium-based alloys; TiC–ZrC-based hard alloys; ultrahard fullerites; and ß-Si3N4 and UO2 ceramics. The Institute is also engaged in the production of new nanostructured thermoelectric Bi2Te3-based materials. TISNCM sets a high value on the collaborations with Russian and foreign institutes, including the Kurchatov Institute Scientific Center, RAS Institute of Crystallography, GIREDMET, University of Umea (Sweden), University of Manchester (Great Britain), Laboratory of Crystallography of the French Academy of Sciences, and a range of other R&D centers in Russia, Australia, Germany, USA, and Japan. The personnel are the main resource of any scientific institution. The year 2008 saw the establishment of the “Physics and Chemistry of Nanostructures” department at the MIPT Faculty of Molecular and Biological Physics. TISNCM was appointed as the base organization for this department, providing training in Applied Mathematics and Physics as a part of a master’s degree in Chemical Physics. The achievements of the Institute were awarded by a range of prestigious prizes at international exhibitions, including the silver medal at the 27th International Salon of Innovations (Geneve, 1999), Nanotechnology International Forum (Moscow, 2008), and the Certificate of the iENa 2008 Internationale Fachmesse “IDEEN-ERFINDUNGEN-NEUHEITEN” (Nurnberg, 2008).